So you missed a call. That’s ok, you’ll just call them back. Except they don’t answer or return your calls. And when you are able to finally reach them on your 3rd or 4th attempt a week later, they have already gone with someone else. Or maybe you never hear from them again. Either way, the job has been lost. While you may never know the full value of the missed opportunity in actual dollars, there are some hidden costs to a missed call that you may not fully realize. Every marketing dollar you spent obtaining that customer was wasted. You have lost any visibility or profit that would have resulted from the job. You not only missed that job, but any future or referral business it may have resulted in. You missed the opportunity to improve your online reputation through a positive review. You are also out the time you spent trying to follow-up and connect with the lead. Your competitor gets that visibility and profit, giving them a competitive advantage. If we don’t know it’s a lead in your lead manager, we can’t deliver more like it. Even if you end up recovering the customer, you are starting from a negative first impression. So not only does a missed call hurt your business, it also helps your competitors. If you had answered the call, and they were legitimately seeking your services, then you most likely could have closed them by selling them on your full value proposition. If this was the case, they would have stopped their search, and would never have reached out to your competitors at all. Instead, when you didn’t answer, they were forced to continue their evaluation of companies to do business with, and likely found your top local competitor. Chances are, they were more than willing to assist them, closing the deal, and leaving you with no chance of recovering and winning the job. This means that your competitor not only gets the job, but all of the benefits that come along with it, such as more money to improve their marketing, increased referrals and future jobs, and more positive reviews online. All of these things ultimately allow them to win more business over you, increasing their ability to compete for your local customer base. Great for them, bad for you. Do everything within your power to ensure that all of your incoming calls are answered. 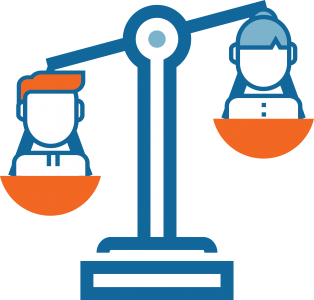 It is best to have multiple people on staff who are capable of effectively taking and closing a sales call. This can allow you to round-robin calls when you or your primary receptionist is on another call or unavailable, ensuring that calls are rarely missed. Taking a message and scheduling a call back is better than missing the call entirely. If you don’t have anyone else who can adequately quote for a job, they can still answer the phone with a smile and take the information you need to reach back out to them, effectively stopping them from continuing to search for your services from other providers. When you miss a call, return the call AS SOON AS POSSIBLE. Not tomorrow, or after you take a lunch, do it as soon as you reasonably can. 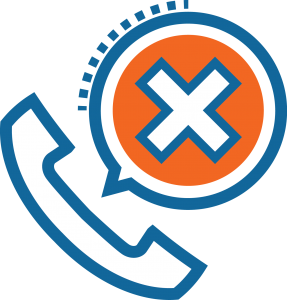 If you are in a location that doesn’t allow you to call them back right away, send the details to another staff member to have them reach out to schedule a call. According to recent Hubspot research, an analysis of more than 2,200 American companies found those who attempted to reach leads in under an hour were nearly seven times likelier to have meaningful conversations with decision makers than those who waited even a full sixty minutes. Call them back even if they don’t leave a message. Just because they didn’t leave a message doesn’t mean they don’t have a legitimate need. Some people just don’t like leaving messages, especially for someone they haven’t worked with before. It takes only a few seconds to call back if they don’t answer, and if they do, then you may still have the opportunity to recover the lead and win their business. Keep calling them back, even if they aren’t answering. They most likely called you at a time that was convenient to them, and they may not be available when you call back. 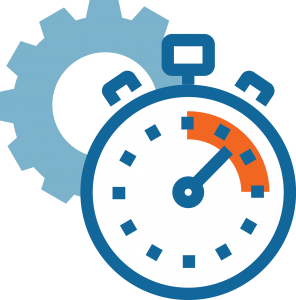 On average, it takes about 4-12 attempts to reach a prospect on a callback, and the longer you wait, the harder it is to reach them. We recommend you attempt to call them at least 5 times before moving them to a long-term nurture marketing campaign. If you need assistance in setting up round-robin calling, creating an incoming call script, or would like to start receiving high-quality local leads direct to your phone, reach out to Mark My Words Media at (877) 721-8491 for a Free Consultation. Want to Learn More About Proper Phone Handling?